Ever since the Protestant reformation began, Christian theologians have been arguing about one of what I call The Two Great Mysteries of the Bible – the problem of evil, and predestination. This latter issue has polarized into two, largely opposite camps within Christendom – Calvinism, and Arminianism. 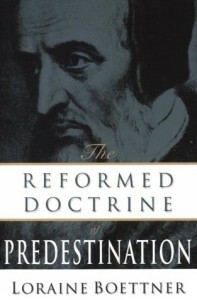 There is, of course, a messy spectrum between them, but one construct in particular, in my experience and understanding, makes what I consider to be the best presentation of the actual theology and reality regarding predestination and it’s corollaries – Molinism – and in particular, Hubmaierian Molinism, described in the compact book Calvinism, Arminianism, or Another Option. In this first post in a series on Molinism, I want to briefly introduce my journey to Molinism. I became a Christian in a Charismatic church, which was heavily influenced by the Arminian Pentecostal Holiness movement. The downside of this theology is that, in order to keep from losing your salvation, you have to maintain a high level of devotion and holiness – a burden which, after a short time, kills your soul and turns you into a judgmental and unhappy religionist. For all who have entered into God’s rest have rested from their labors, just as God did after creating the world. So let us do our best to enter that rest. That, along with Boettner’s Reformed Doctrine of Predestination, gave a me a solidity and peace that the Arminian view never provided. 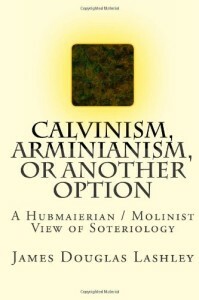 However, when I formally examined the arguments of both camps, I found some Arminian arguments compelling, and wondered if there was a middle ground. 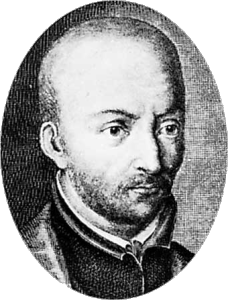 Luis de Molina was a Spanish Jesuit who, during the late 1500’s (a contemporary of both John Calvin and Jacobus Arminius), developed the perspectives that later developed into the ‘compromise’ position that now bears his name. He attempted (and I would say largely succeeded) in solving some of the dilemmas posed by the Calvinistic and Arminian positions. I first encountered Molinism while listening to the great philosopher and apologist William Lane Craig. I then read about it in some of my philosophy books, and after a time, found it answered my few disagreements with Calvinism. In my next post, I’ll explain his framework. In the meantime, if you are interested in the history behind these doctrines, I strongly recommend Lashlely’s Calvinism, Arminianism, or Another Option (mentioned at the start of the article).